Existing telecommunication networks and classical roles of operators are subject to fundamental change. Many network operators are currently seeking for new sources to generate revenue by exposing network capabilities to 3rd party service providers. At the same time we can observe that services on the World Wide Web (WWW) are becoming mature in terms of the definition of APIs that are offered towards other services. The combinations of those services are commonly referred to as Web 2.0 mash-ups. Rapid service design and creation becomes therefore important to meet the requirements in a changing technology and competitive market environment. This report describes our approach to include Next Generation Networks (NGN)-based telecommunications application enabler into complex services by defining a service broker that mediates between 3rd party applications and NGN service enablers. It provides policy-driven orchestration mechanisms for service enablers, a service authorization functionality, and a service discovery interface for Service Creation Environments. The work has been implemented as part of the Open SOA Telco Playground testbed at Fraunhofer FOKUS. 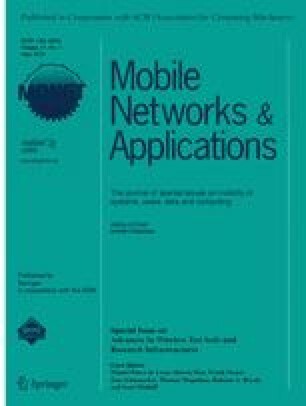 The research described in this paper has been performed within the Fraunhofer FOKUS Next Generation Networks Infrastructures (NGNI) competence center in close cooperation with the chair for next generation networks (AV) within the electrical engineering and computer sciences faculty of the Technische Universität Berlin and the chair of Service and Software Engineering at the Institute for Informatics of the University of Potsdam.